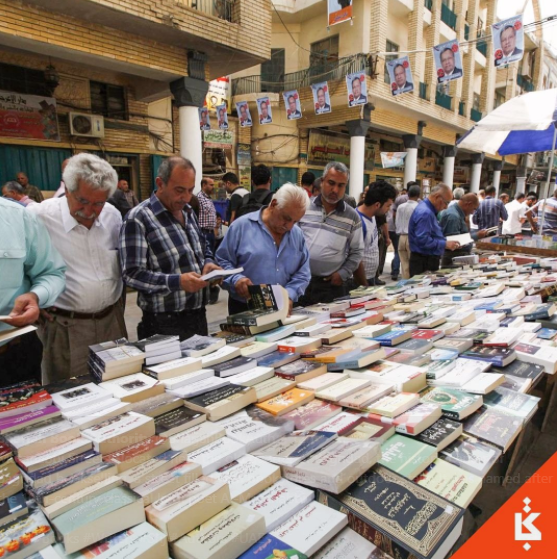 After a devastating car-bomb attack in 2007 Baghdad’s famous book street, Al Mutanabbi, has been a shadow of its former self, but a revival began in 2015. As we enter the eleventh year since the devastation, Al Mutanabbi Street, which reaches almost to the Tigris, is thriving again. In March there will be special readings at the Shanabar Café to mark the anniversary. Check out this Youtube video to see the book street in action. This post is one of four today looking at the Arab Renaissance.